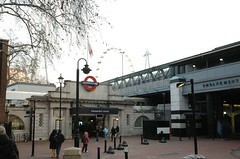 Zone 1 Tube station on the Circle, District, Bakerloo, and Northern (Charing Cross branch) lines. It's a very short walk to Charing Cross Station. Last edited 2014-11-23 16:59:46 (version 6; diff). List all versions. Page last edited 2014-11-23 16:59:46 (version 6).